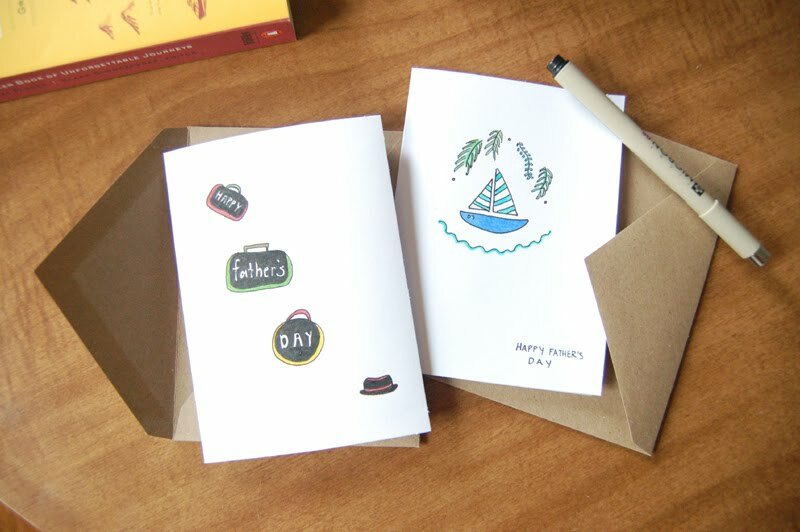 Happy father's day to our wonderful Dads - the one who travels (Q's) and the one who sails (mine). It was only fitting that we missed Q's Dad yesterday because he is in Kenya. But we did spend a great afternoon with mine, playing tennis, grilling out, and of course, talking about the fun sailing ahead on his Hobie Cat this summer. PS. hope you had a happy father's day too. Did you make these cards Ali? They're so cute! That sounds like such a great father's day! And I absolutely love those cards! alli - that sailboat doesn't look anything like a Hobie Cat?! just messing - cute cards (as always).